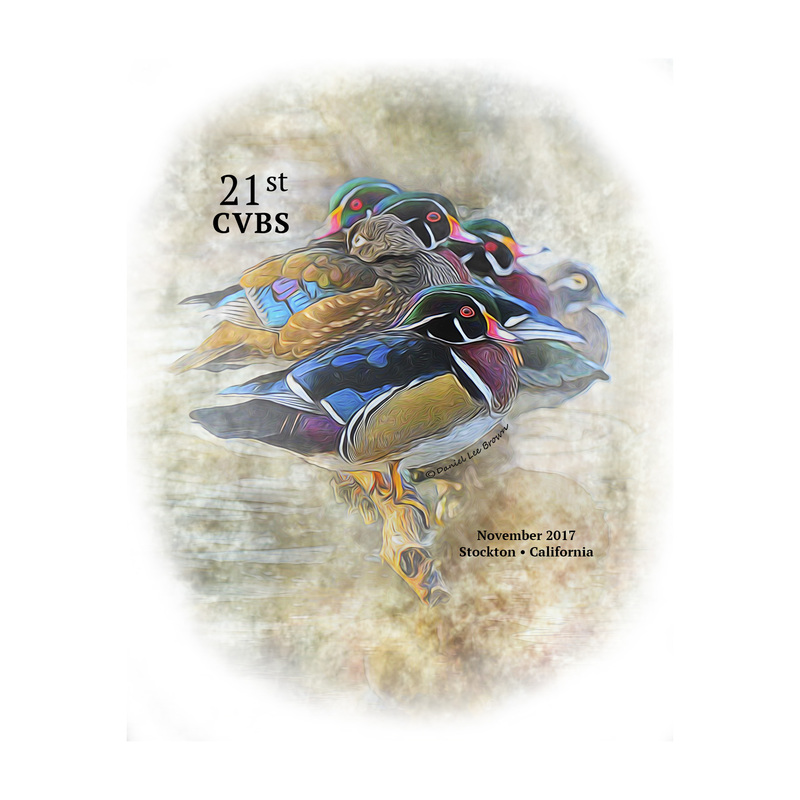 The 21st Annual Central Valley Birding Symposium was held November 16-19, 2017. The event began on Thursday with a fundraising trip for the youth scholarship led by Jon Dunn. The evening began, as it so often does, with a wonderful photographic program by Ed Harper, this year highlighting birds in flight in the Central Valley. Full-day field trips on Friday from Colusa in the north, Merced in the south, and many points in between were followed by one of the favorite recurring events, the photo ID panel. We learned a great deal about Bank Swallow population dynamics and conservation from Dawn Garcia's keynote talk on Friday evening. Saturday began with local field trips, image editing, bird sketching, and beginning birding workshops. 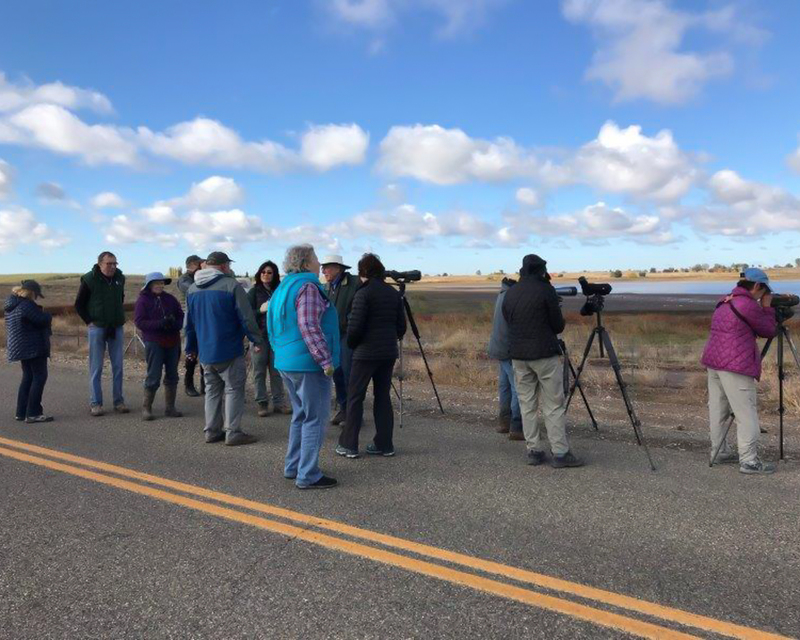 Dan Airola organized a series of short talks on studies and conservation topics, including Tricolored Blackbird population updates, studies by the UC Davis Museum of Wildlife and Fish Biology, the Putah Creek bluebird nest box program, and Sacramento County Burrowing Owls. Beginning birders also had the option of Sal Salerno's birding class and after lunch field trip. Also after lunch were talks by Dr. Lynne Trulio on wintering Burrowing Owls in California and by Christy Sherr on the benefits of burned forests to wildlife. On Saturday evening we honored Jon Dunn and Joe Morlan who have each done much to promote and contribute to the Symposium over the past two decades. 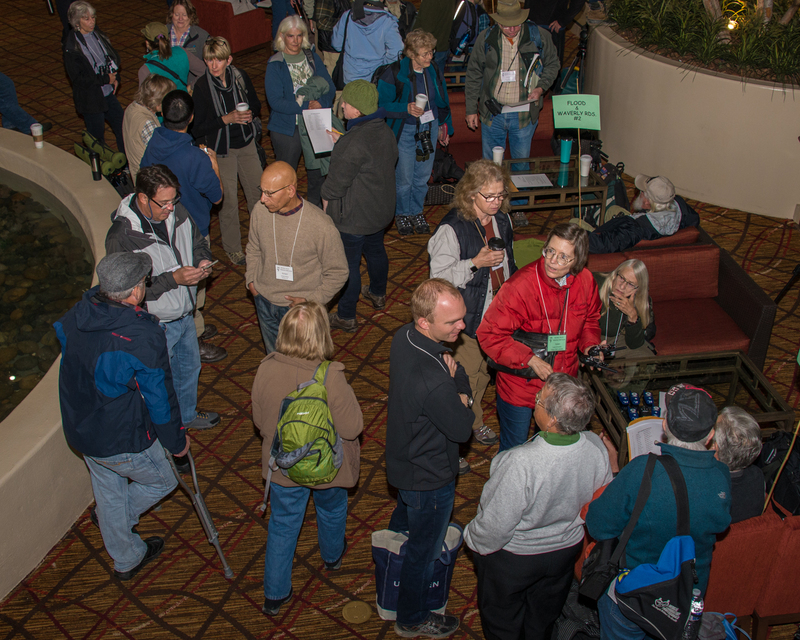 We are extremely fortunate to have such prominent members of the ornithological community regularly participate in this event. 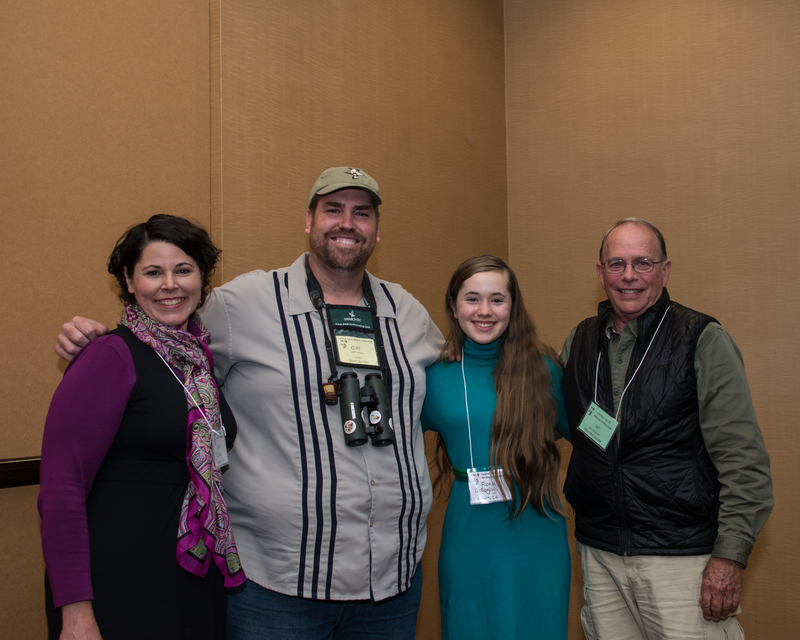 Youth scholarship recipient Fiona Gillogly was a tough act to follow as she gave an excellent recap of her trip to Hog Island, Maine. 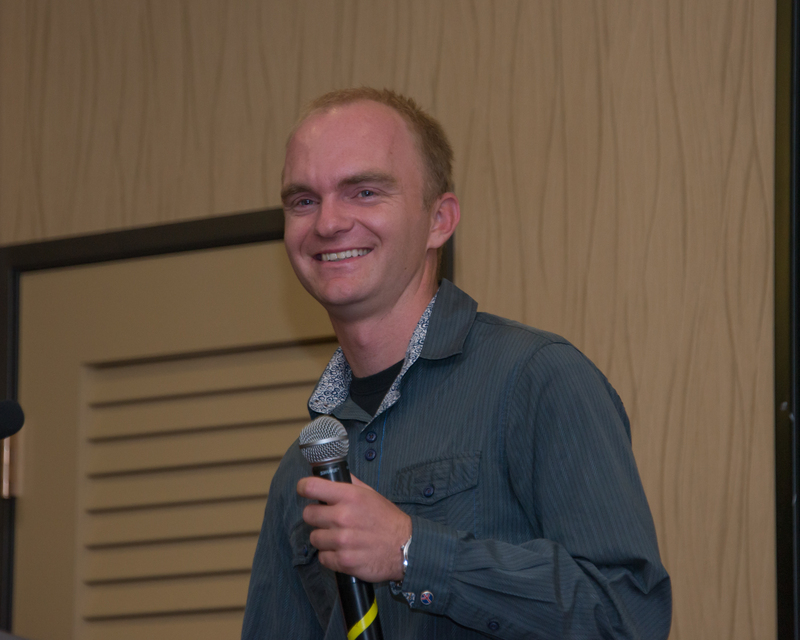 The much anticipated keynote by Noah Strycker lived up to its billing, as Noah recounted some of his amazing experiences in his 2015 global big year where he saw over 6,000 species in 41 countries! Sunday morning offered a wood carving workshop (a Dunlin this year) and talks by Joe Morlan focusing on Neotropical species that breed in California and Jon Dunn covering challenging winter waterfowl ID. Afternoon field trips followed and another CVBS was in the books. Thanks to all the field trip leaders, speakers, vendors and exhibitors, and sponsors. We hope to see you again in 2018.